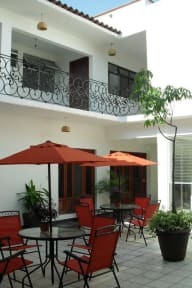 We are proud to be a young, cultural, social responsible, and environmental friendly hostel in the heart of Oaxaca. Your stay includes free drinking water, nice breakfast, locks, linen, blankets, and towels. Culture: We love spreading Oaxaca's culture and our surrounding indigenous towns. Committed with sustainability and social responsibility we host indigenous languages courses in hostel / field trips regularly. We support and work directly with the mixe indigenous region and give direct benefits like http://idea.me/projects/14450/cubrir-parcelas-de-chile-mixe (Even if you stay or don’t stay with us, would be awesome you could support our projects). We also work together with traditional dancers, mixe musicians, and music groups. Llegué para una noche y me quedé más por el buen rollo que había y para ver Oaxaca. Me dieron toda la información que necesitaba, dormí genial, buen desayuno y Capitán un amor! Te sientes como en casa, 100% recomendado! Nos gustó mucho el hostel, precio calidad muy bien, los trabajadores súper simpáticos, las camas comodas, la ubicación buena, la cocina muy bien equipada y el espacio común muy agradable. You pay for what you get :) Pros for me: breakfast is fine; toast, coffee some fruit and cereal. 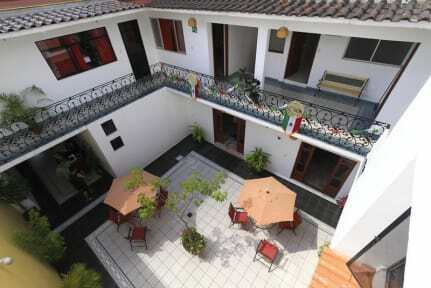 You can easily book some tours, transportation to Puerto Escondido and some other places and taxis. Cons: Bathrooms were not really clean and there was just a fan in the room that didn’t reach everyone so you can melt during the night or get bitten by mosquitos. Consider the hostal is located a little bit far from the turistic area so I wouldn’t recommend walking around alone once it’s dark.